Our new Hardware Page is now online! Today we are launching a truly exciting new feature to our website: our brand new Hardware page that will instantly give you access to all the information you could ever want about your smartphone, tablet or other device. Want to see everything we’ve written that relates to your device? We’ve got you covered. Looking for reviews, tests and hardware comparisons between devices you might want to buy? It’s all there, along with news, tips and tricks, forum threads and more, all on one page. The new Hardware category can be found in the green menu found at the top of the AndroidPIT website and will quickly become one of your favorite parts of the site. It will appear where the Developer category used to be, but you can still access the latter in the footer menu of our website. So check it out and tell us how you like it! 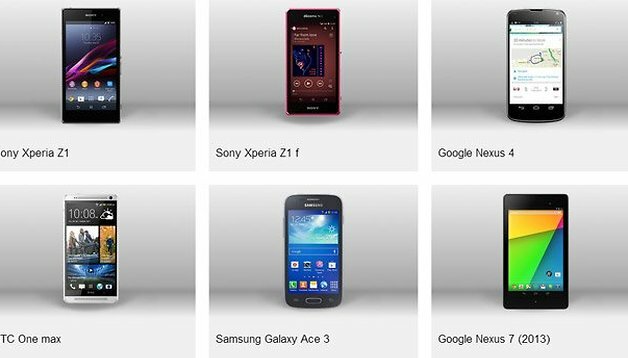 The Device Overview page shows you, at a glance, all of the devices saved within our database, literally dozens upon dozens of shiny Android devices. You can scroll through them casually or sort them manually via manufacturer or device type with more sorting options coming soon. The individual Hardware page for each specific device will offer you all the important information you could ever want on that device, from a basic outline of the device to detailed hardware specifications. There’s also pertinent contributions and articles from the Forum and News sections of our website, all in one clear overview. It will quickly become one of your go-to landing pages. Any comments and feedback in regards to the various pages in our new Hardware category are more than welcome! Please comment below or in the Device Page thread from your forum. I'm expecting this hardware page to become a huge success! Maybe it gets integrated into the app in the future.